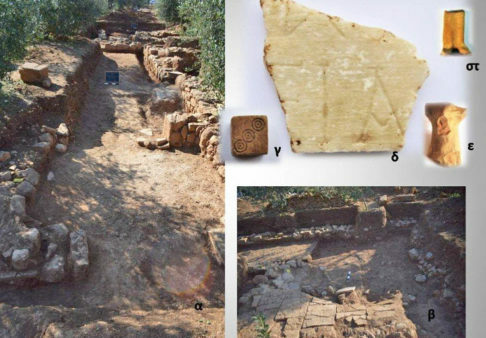 Architectural remains during an excavation in Chiliomodi, south of Corinth, confirm the existence of ancient Tenea which up to now was known only from references in written sources, the Greek Ministry of Culture announced, according to ANA. 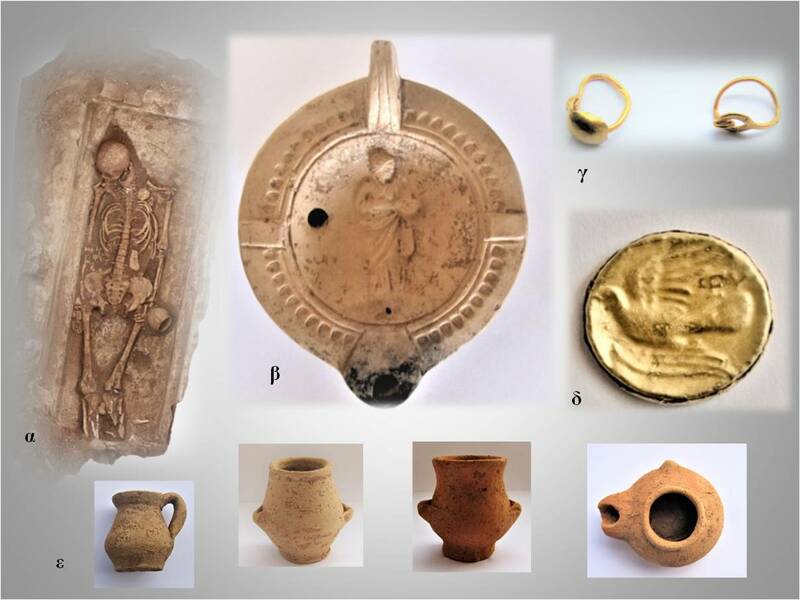 In a statement related to excavations at Chiliomodi, the Ministry verified that housing remains "confirm the location of the ancient city, the existence of which was known solely from historic sources and passing references by researchers." 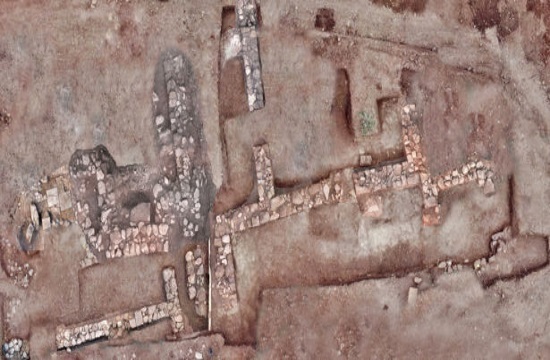 Two areas were excavated from September 1 to October 10 in the extensive site at Chiliomodi, a cemetery and the residential area further north. Both yielded rich findings including skeletons from seven burials. At the cemetery, four Roman-era tombs were discovered north of the funerary monument, and another three dating to the Hellenistic era were dug at a lower level; one of the latter appeared to have been reused at Roman times. Of all skeletons recovered, two belonged to adult males, five to adult females and two to children. One of the graves contained the remains of a woman and a child, the Ministry said. All tombs were richly adorned with vessels, coins and gold, bronze and bone jewellery. 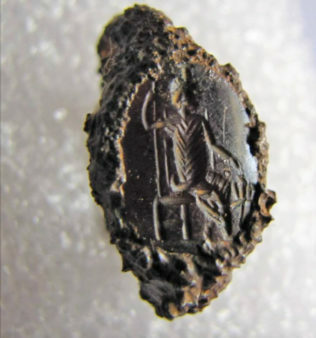 Found with them was a ring with a seal showing the Egyptian god Serapis on a throne and Cerberus, the Greek three-headed dog guarding Hades. The Ministry specified that the cemetery was so far found to contain 35 graves, several with multiple burials. "The burial findings confirm the city's prosperity through time," it noted. The residential area featured buildings with clay floors, sections of marble and stone floors and walls finished with a slip. Also found inside these buildings was a large storage vessel found in situ and a ceramic vessel containing the remains of two fetuses, buried at the wall foundations. Mora than 200 coins found at the residential area also dated to the early Hellenistic and late Roman eras - a time during which the buildings underwent several changes and adjustments - with several minted during the reign of Roman emperor Septimius Severus (reign: 193-211 AD) and rare coinage from Peloponnesian cities. According to the Ministry, the data of this season's finds "leads to the conclusion that the community probably experienced the repercussions of Alaric's raid in the Peloponnese in 396-397 AD, and it may have been abandoned at the end of the 6th century AD, during the Avar and Slavic raids." In its announcement, the Ministry named the donors and stressed the significance of briefing the local community, which generously allowed surveys on their fields. The lead excavator is Elena Korka, director general emerita of the General Secretariat of Antiquities and Cultural Heritage at the Ministry.